The Royal Wedding is just around the corner and here's everything that you need to know about it! 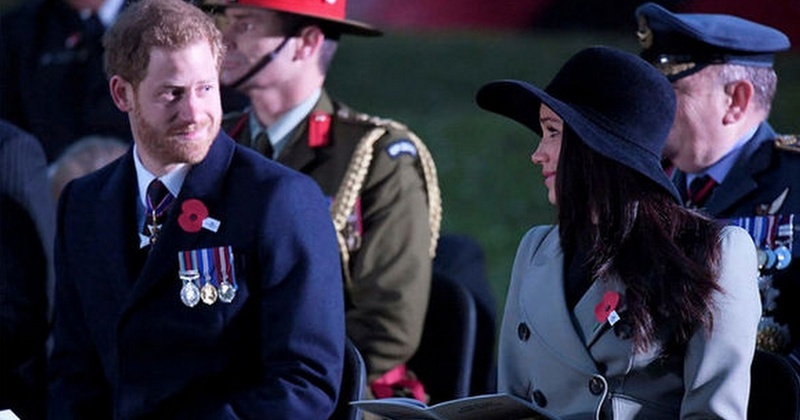 19th May will be the most important day for Meghan Markle and Prince Harry as they take vows before God, their families and the Queen with the whole world watching! Members of the public who have been invited to watch the wedding day from the grounds of Windsor Castle begin to arrive between 09.30am and 11.00am. The members of the royal family will begin to arrive from 11.20am. They will enter St George's Chapel via the Galilee Porch, by foot or car. On the morning of the wedding, Meghan Markle's mum Doria Ragland will travel with her by car to Windsor Castle. Meghan Markle will make a striking feminist statement in her wedding - she has decided to walk unescorted down the aisle of the chapel navel. She has decided that in the first part she’ll be accompanied only by her bridesmaids and page boys, with the senior church figure walking ahead. In the 2nd part when when she reaches the Quire, where the main royal guests will be seated, she’ll be joined by Prince Charles . The Prince -- Harry's father -- will walk Markle down the Quire aisle to the foot of the altar. Ms Ragland will meet the Queen for the first time, though she has already been introduced to Prince Charles and Prince William already. Ms Markle's father, Thomas, is unable to attend the wedding, after undergoing a heart surgery. Meghan released an official statement via Kensington Palace saying her father will not be attending the ceremony in order to "focus on his health". Although, she has decided against having a maid of honour, saying she wanted to avoid choosing between her closest friends. The Dean of Windsor will conduct the service and The Archbishop of Canterbury will officiate as the couple make their vows. The service is expected to take around an hour. You can watch the action on ITV, between 9.25am and 3pm, and on BBC from 9am until 2pm while the channel Sky One will also be covering the event from 9am to 3pm. P.S., exactly 7 years ago, Harry's brother Prince William and Kate Middleton wed at 11am, at London's grand Westminster Abbey and some 26.3 million Brits tuned to watch it. Immediately after taking the vows Meghan and Prince Harry will leave Windsor Castle in a carriage. They will be driven along Castle Hill, Windsor High Street and into the town centre - along Sheet Street, Kings Road and Albert Road. After the wedding, Meghan and Harry's guests are invited to an afternoon reception - hosted by the Queen - at St George's Hall. It’s expected to start at around 2pm. There will also be an evening reception at Frogmore House, with the public seeing the Bride and Groom depart for Windsor Castle finally. The formal photographs, which are to be taken by Alexi Lubomirski, will be released in the week following the wedding. The wedding cake is underway and Claire Ptak, the owner of Violet Bakery in Hackney, has begun to work on the lemon elderflower cake. Meghan and Prince Harry decided to shun the traditonal wedding fruitcake that William and Kate had at their wedding for this more modern take. It’ll be covered with “buttercream and decorated with fresh flowers”, Kensington Palace said last month. It is expected the cake won’t actually be eaten at the wedding, but rather put on display and later sliced and handed out as gifts the following day. Instead, a second cake will be part of the wedding feast. This additional cake is said to a fruit cake. Hundreds of soldiers with starring roles in the royal wedding were put through their paces in Windsor for Kensington Palace’s only wedding dress rehearsal. More than 250 soldiers and other members of the British armed forces took the streets of Windsor at 11:30am local time to practice the carriage procession Prince Harry and Meghan will make on Saturday. Interesting fact - The carriage being used by the newlyweds is an Ascot Landau and is the same one Harry rode in during Prince William and his wife Catherine’s 2011 wedding. Thousands of royal fans turned up to watch the procession and get a glimpse of the carriage Prince Harry and Meghan will ride in during their 25 minute procession. With all this excitement around, I can't wait for the royal wedding to take place already!